Ah, it’s been a while, hasn’t it? The past six months have been rather hectic and my blogging sporadic. So thank you all for checking in and reading chasing bawa. I seem to have rediscovered by blogging mojo with the sunshine that has appeared over London. It’s the Queen’s Diamond Jubilee and the Olympics that will be dominating this summer here in Blighty and I am hoping against hope that it’ll be a hot one this year. ♦ The Oxford Despoiler and other mysteries from the casebook of Henry St Liver by Gary Dexter – Victorian sexologist mysteries! A varied and interesting list, n’est ce pas? I haven’t read any of the titles above except for dipping into the Pillow Book of Sei Shonagon and I think I’ve been meaning to read The Golden Notebook for ages too. And since I’ve heard so much about Samuel Delaney, I really must check him out. What about you? Really looking forward to the summer Olympics. I imagine it will be a nightmare for those living in London though, so everyone there has my sympathies. I’m reading Delia Sherman’s book, The Freedom Maze. It is an interesting look at slavery with a fantasy element. Just won the Andre Norton award for YA literature and thus far I can see why. After that it will be on to Angelmaker by Nick Hardaway, a book that looks so deliciously interesting sitting temptingly in front of me. Ha ha, travel in London is going to be a nightmare. We’ll just have to see how it goes. I haven’t read either titles but have seen Angelmaker here and there on the web. Both sound very interesting! A friend’s mother-in-law is traveling to London to see her new grandbaby during the time the Olympics will be there. We both say she is nuts, but nothing will deter grandma from her newest grandchild. Grandparents! You can’t tell them what to do! Very interesting list. 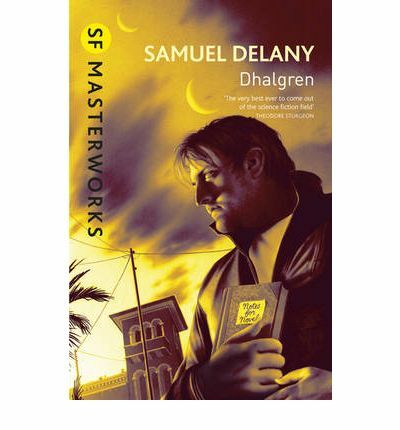 I think we have that Delany book here somewhere but I’ve not read it. My other half has. I’ll see if he recommends it. I’m reading a book recommended by my mother-in-law today, Snow Flowers and the Secret Fan by Lisa See. It seems okay so far, though not gripping. I still haven’t read The Buddha of Suburbia although both my sis and father have recommended it. And I think we have it in the house too…oops. Foucault’s Pendulum is one of my favourite books of all time but it did take me about a month to finish it (and you know I’m a fast reader!) But I hope you do soldier on! I’m slightly nutty for Eric Chevillard’s Demolishing Nisard – it’s quite manic, obsessive, brilliant stuff. Have fun in Scotland, meanwhile! Hello! That looks seriously entertaining, will have to check it out. Thanks for the rec. Very interesting list. I’ve read Vanity Fair (I did not enjoy it at all). I haven’t read The Golden Notebook but I do love Doris Lessing! I’m reading Wolf Hall by Hilary Mantel. Have you read it? loved your blog, btw! You have amazing taste in books! Following you now. Please do visit my book blog sometime, and if you like it, please follow! I just finished Wolf Hall a few weeks back and loved it! Can’t wait to read the sequel although I’m not sure I can lug around the huge hardback!